We supply and service most major brands of systems and have been in the industry of over 30 years. We are fully registered and certified Master Electricians. We provide security system installation and servicing Wellington wide, from Wellington South and the Eastern Suburbs, to Lower Hutt, Upper Hutt, Porirua, and the Kapiti Coast. We are fully security vetted and approved. 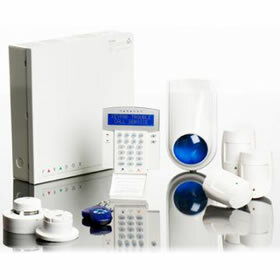 Most installs we supply and sell are paradox or concept security systems and have done so for the last 20 years, we have found these systems to be both reliable and very adaptable to change if required. Access control can be installed on some systems with full upload and download capabilities enabling online diagnostics before coming to site on most occasions if required. Warranty on most hardware is 3 years with a 1 year warranty on all labour.